Before there was small brigade of figmas and scaled pvc figures in my room. Before I learned of Danny Choo, before I knew the "cartoons" I watched where anime and came from Japan. There was one passion I had, video games, in particular JRPGs, likewise I had no idea there was such a surprising difference between western and Japanese RPGs. My new found understanding of the English language opened a whole new genre of games to me. My first taste came with Golden Sun on the GBA, since then JRPGs in general became my favorite genre. Sometime later I kept reading about a new RPG from the creators of another one, that people kept referring was one the PSOne's greatest RPGs. Can you guess which well known RPG was that? I turned out to be Xenogears, and game that I wouldn't get to play for another few more years. However, there was a spiritual sequel being developed by the team at Square Soft that developed Xenogears and had formed Monolith Soft. This was the game that became Xenosaga and was the first PS2 game I ever purchased. 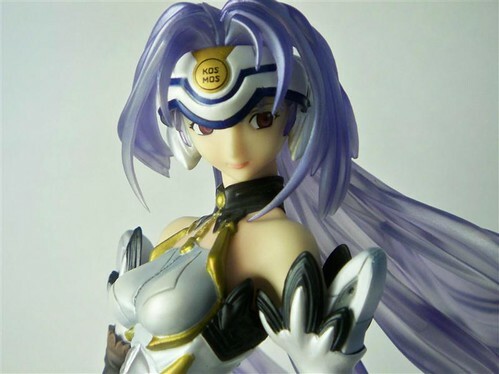 Playing Xenosaga led to another "first", my first 2D love...er I guess technically 3D... You can probably tell that first love was Kos-Mos. Ever since then I became a little obsessed with her and ended having a "thing" for robot girls or girls with long blue hair and crimson eyes. I can't really pinpoint why I ended liking her so much. 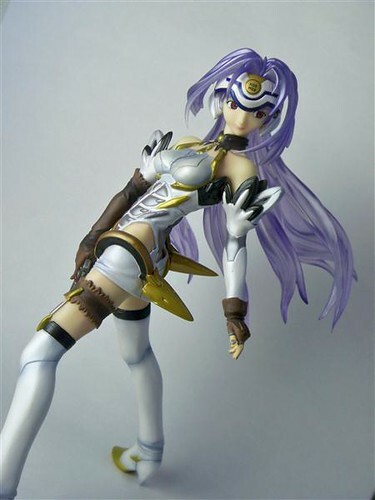 My love for Kos-Mos led me to yet another first. 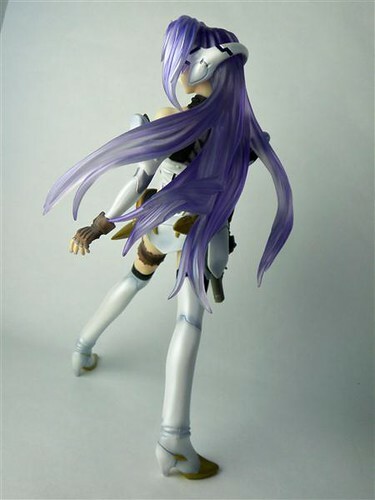 The first scale PVC figure I would end up importing. 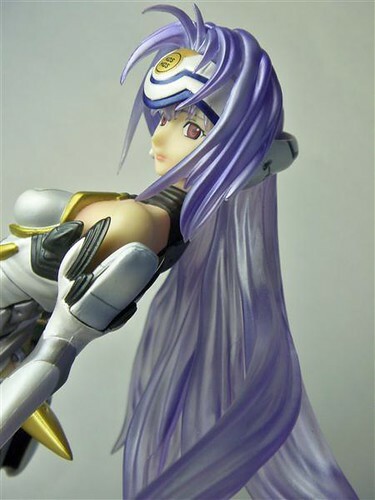 I always regretted not being able to get my hands on that figure that came with special edition Japanese release of Xenosaga Ep. I. That's why when I found out about this figure and saw it, I knew I had to get my hands on it. 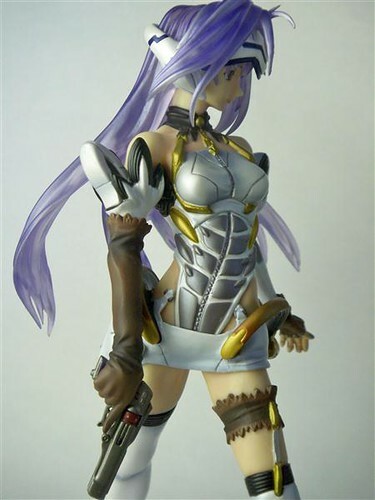 This version of Kos-Mos was released by Alter in a 1/7 scale I believe in the summer of 2006 if my memory serves correct. 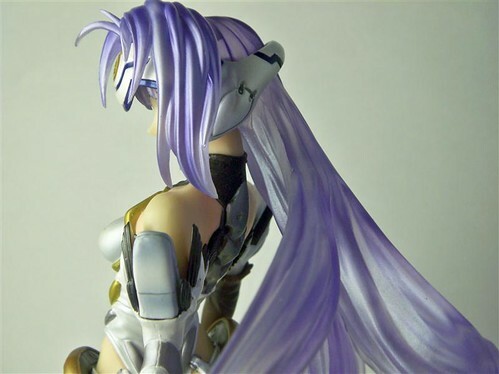 As my first PVC figure I was extremely impressed by the amount detail, the sculpt, and paint job and her translucent hair, much like Alter's other Kos-Mos releases. Now days, I know Alter always does such a high quality work on their releases so it's no surprise this figure although being about 3 years old turned out so well. I have to mention it also has been able to survive 100 degrees Fahrenheit temperatures with no damage at all. Probably this was what made me become an Alter fan. There you have it, that's the story behind the first figure I ever bought. I wonder if I should do another "first"? 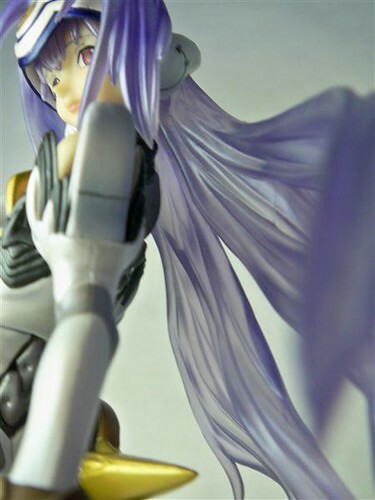 This time about my lovely Yuki my first figma. I would love to hear about you comrade's first figure you bought too. 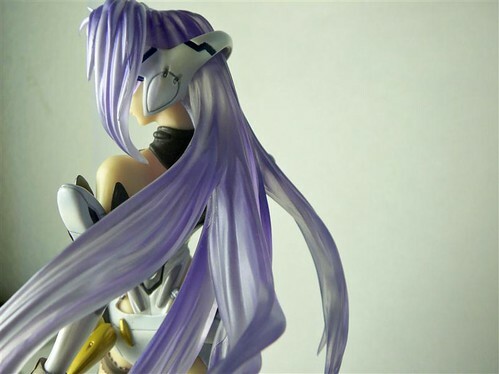 You can find the rest of the pictures I took of Kos-Mos along with many other's here.